Randolph, NJ- New Jersey Dentist Glen M Goldstein DMD DICOI recently returned from Knoxville, TN where he volunteered his dental services and expertise on a Remote Area Medical® (RAM) mission. This marks the fifth year in a row Dr. Goldstein has teamed with other RAM volunteers to provide complimentary dental services for patients who can either not afford health care or do not have access to proper medical and dental facilities. Joining him on this mission for the second time were his son’s Zachary and Gregory. During his time there Dr. Goldstein saw numerous patients and performed 157 extractions. His sons were busy assisting other doctors while they performed extractions and fillings. Following his return Dr. Goldstein spoke highly of his overall experience: “Dr. Goldstein was pleased to tell us he and his team saw about 900 patients, many of whom slept in their cars the night before in order to be first in line on Saturday morning at 6:00 a.m. In total almost 1200 extractions and hundreds of fillings and cleanings were done. He also expressed his gratitude for the number of compliments he received about how friendly he was while providing care, as well as how appreciative patients were that he and his sons flew in from NJ to help them out.” If not for the generosity of all volunteers these patients have virtually no access to care and many are walking around with life threatening infections. His two sons were equally moved by the genuine appreciation the patients had for them. Dr. Goldstein plans to continue actively volunteering in communities both inside and outside of New Jersey. Dr. Goldstein graduated from Rutgers University before earning his dental degree from the Rutgers School of Biomedical Sciences. Since then Dr. Goldstein continues to educate himself and his staff on the most current topics dentistry has to offer. He is available for interview upon request. 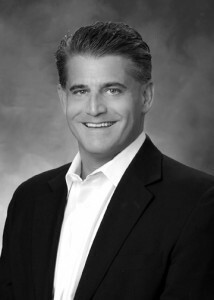 For more information about Dr. Goldstein of Randolph Dental Care, please visit www.Randolphdental.com or https://www.facebook.com/RandolphDentalCare. Dr. Goldstein serves patients from Randolph, Morristown, Denville, Chester, Mendham and surrounding areas.